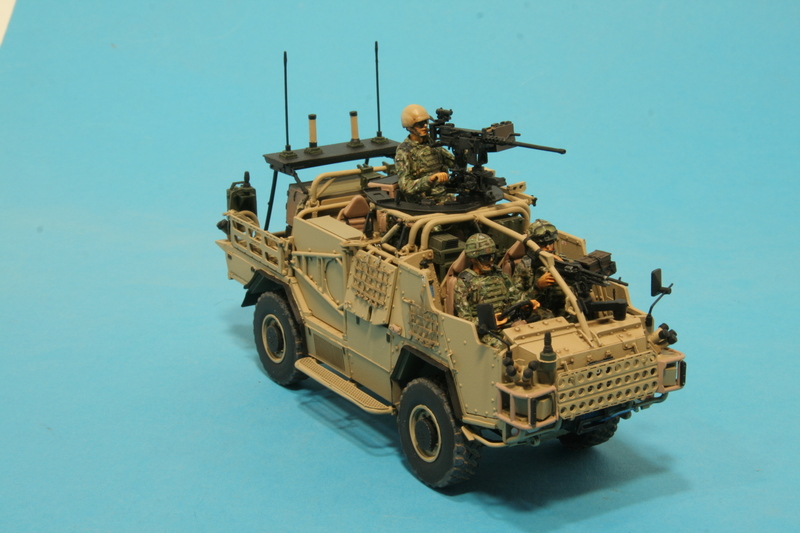 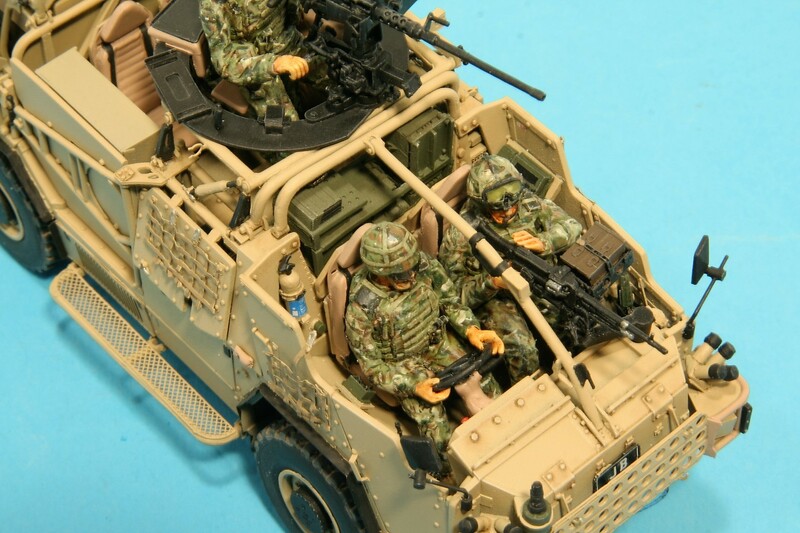 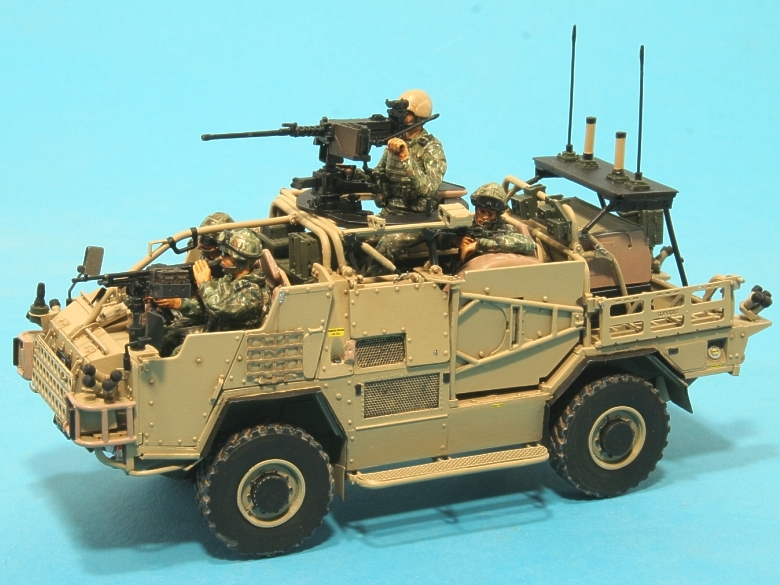 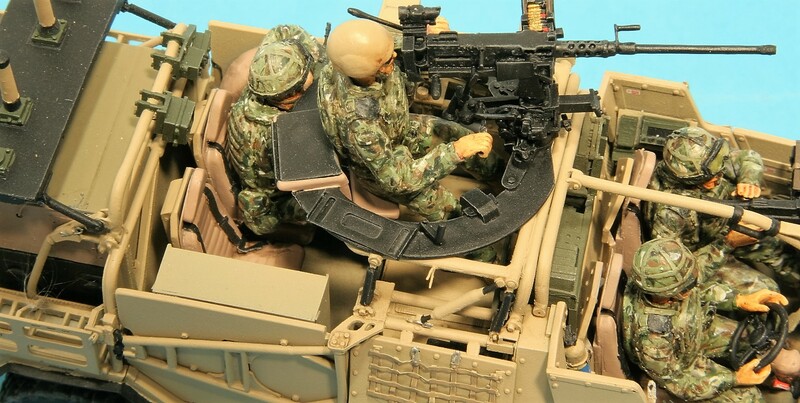 A set of four 1/35th Scale resin figures by Rob Tearle, designed to fit into the British Army Jackal-2 SRV & Coyote TSV(L), but can be adapted for other vehicles. 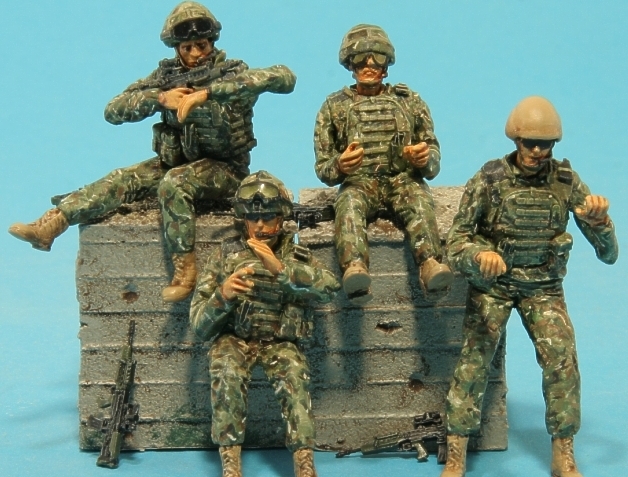 The figures shown are painted to depict the new MTP camouflage uniform also introduced in 2010. 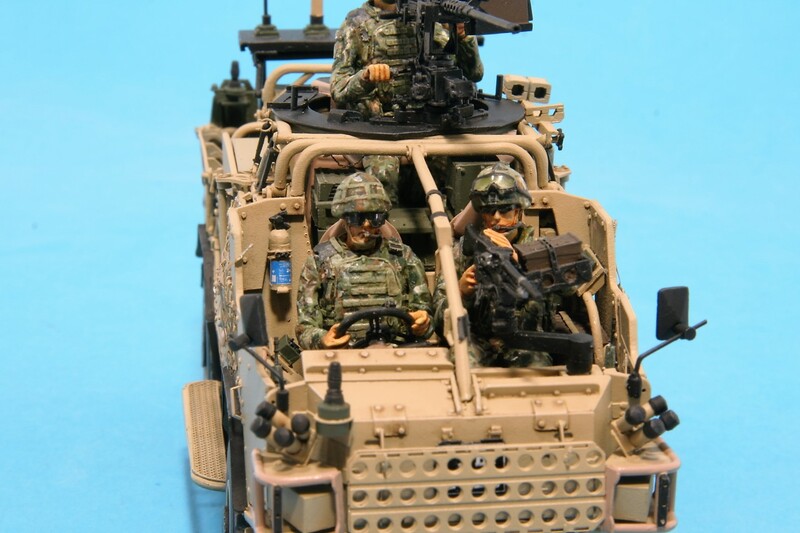 An MPT painting guide and transparent goggle lens material are also included.The figures; Commander, Driver, Gunner and 4th crewman, are sculpted with the 2010 Osprey Mk-4 body armour and the Mk-7 pattern infantry helmet. 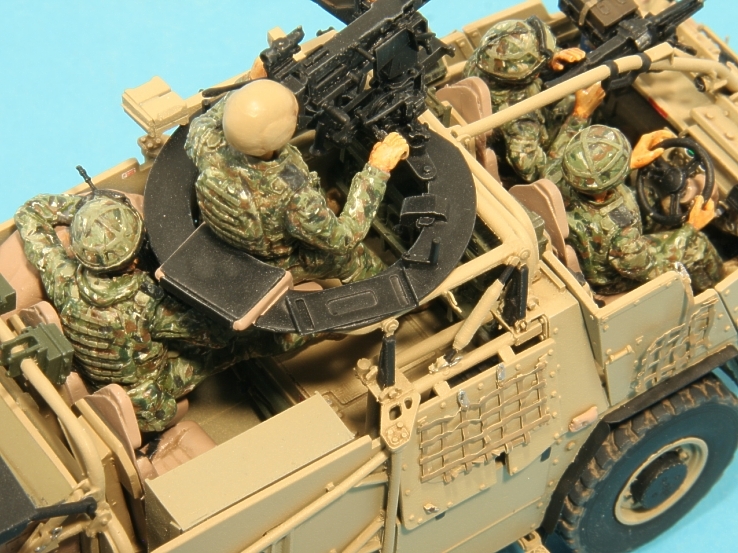 An individual L85A2 weapon and transparent goggle lens(where goggles are fitted) are also included for each figure. 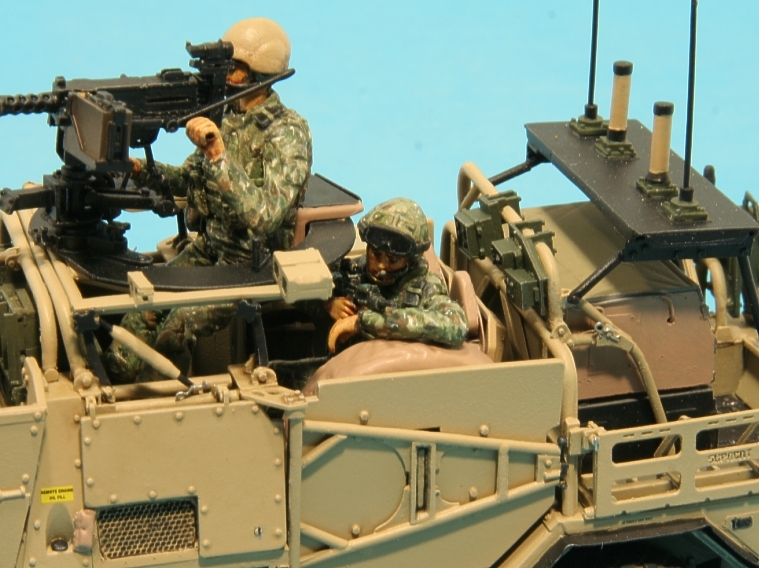 An extra L85A2 with UGL is also included.The four figures are also available individually as product codes F63, F64, F66 and F67.